Pioneers in the industry, we offer lab dehumidifier from India. 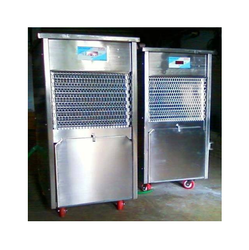 We are leading manufacturer and exporter of Lab Dehumidifier and our product is made up of good quality. Customers mostly preferred to purchase quality products, so we are involved in offering best quality of Lab Dehumidifier. This Lab Dehumidifier is extensively demanded among the customers due to its various uses in suitable applications. The offered Lab Dehumidifier is available in the market at reasonable rates. Looking for Lab Dehumidifier ?